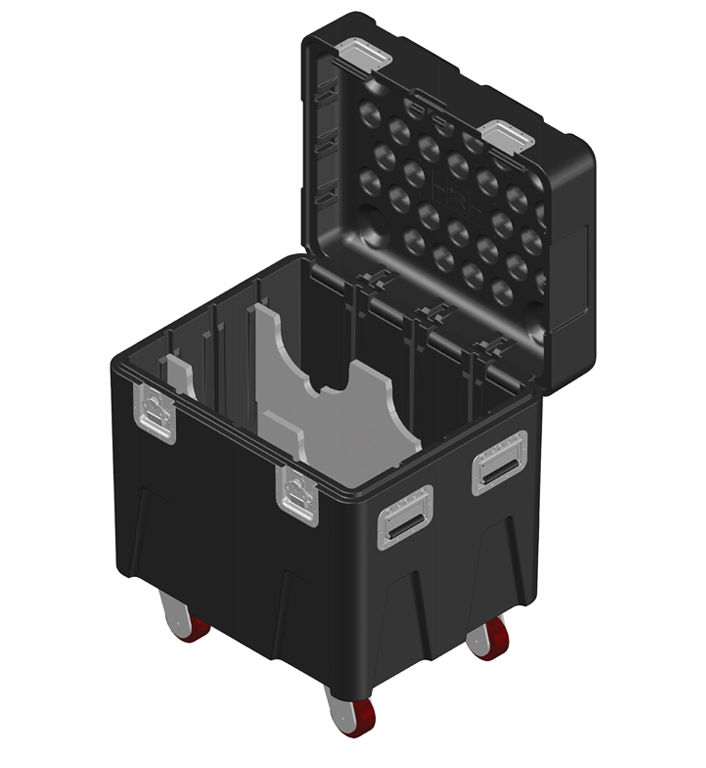 For storing and transporting CM Classic Small Frame Lodestars, the MTN BOX®: Spektrum Series SM cradles 2 motors perfectly in our precise cut inserts. Using two of the MLD14-V1 inserts, this Spektrum Series SM Pack provides precise cradles that store your motors and prevent them from shifting around. The space beneath the Lodestars can easily accommodate 2 motors each with 120′ of lift.